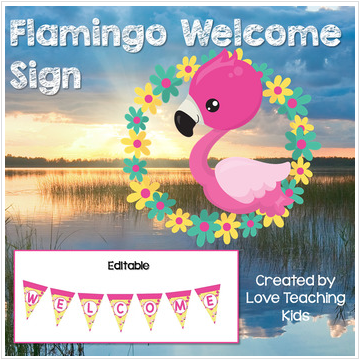 This flamingo welcome banner is great to have for the first day of school to welcome your students back. There is an editable slide that you can add your own letters to. This resource was made with templates by FlapJack Factory.